The Elohai Neshama, My G-d, the Soul… is chanted in the following video from the Bircat Shelomo Siddur. It is chanted in a melody from the Spanish -Portuguese tradition. This is part of my new project to record all or at least the majority of the Siddur from the Bircat Shelomo to help those in Latin America returning to Jewish observance. 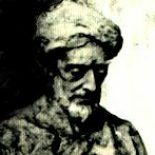 This entry was posted on April 1, 2019 by rambam442013 in Sephardic Videos and tagged Anusim, Conversos, Jewish Liturgy, Marranos, Spanish Liturgy, Spanish-Portuguese Jewish Liturgy, Spanish-Portuguese Liturgy.